I love making foods with Tex-Mex or Mexican flavors. Taco seasoning has some of my favorite spices all blended together. I use to, on rare occasions, dabble with a recipe for making my own mix since I could never seem to have packets of it in the cupboards when I wanted to make taco's. The day I found this recipe, I was hooked. It's simple, fast, and easy! Then one day I read the ingredients in the store bought packet I had on hand. . . . I never bought a packet again. I am not exactly running around eating all healthy foods, but I was shocked to see such a list of ingredients beyond spices! That was the last packet that I ever bought. This recipe is so much easier to have on hand than a packet. Try it, I am sure you will love it too! Add 2 1/2 tablespoons of taco seasoning mix, with 1/2 cup of water to one pound of ground meat. Simmer for about 15 minutes or until liquid is reduced. 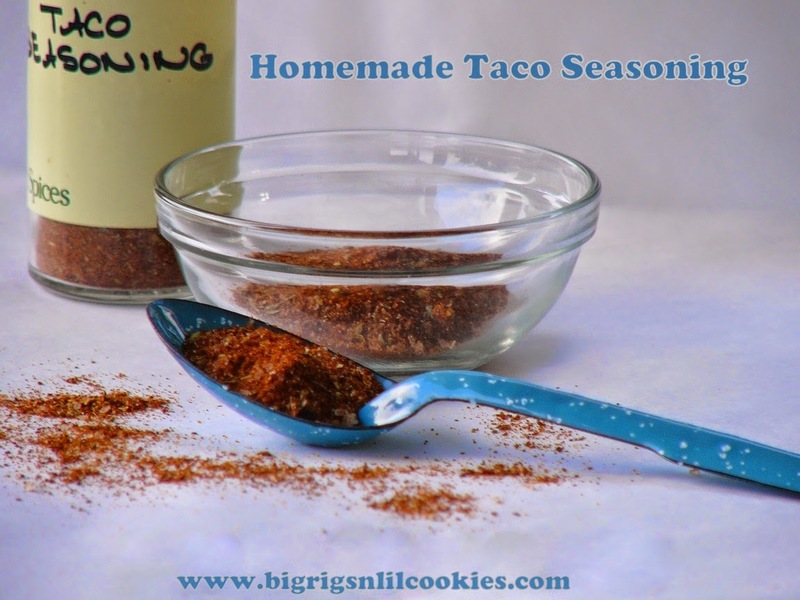 Substitute 2 1/2 Tablespoons of mix in recipe calling for one packet of taco seasoning.